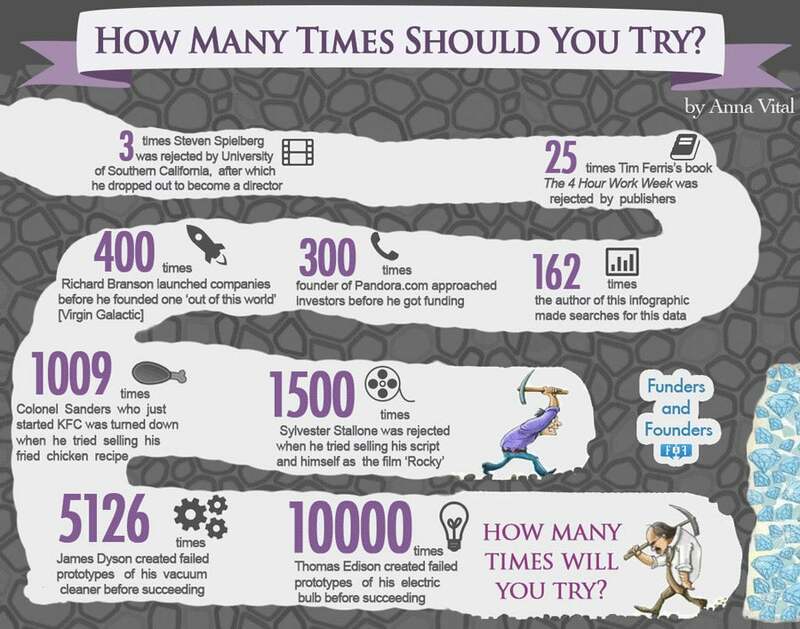 Do you know how many times your business hero tried to launch a company before he or she succeeded? We’re going to guess it wasn’t once. Take a look at this infographic to see how many times these household names were turned down before they took off.